Vasco Translator Premium 5" with the scanner will work well both at school and work, as well as a business trip or even on holiday. With it you will quickly and efficiently understand what is written in a local foreign newspaper or what is in a restaurant menu. If you are reading a book in a foreign language, you don’t have to be interrupted by checking unknown words in a paperback dictionary. 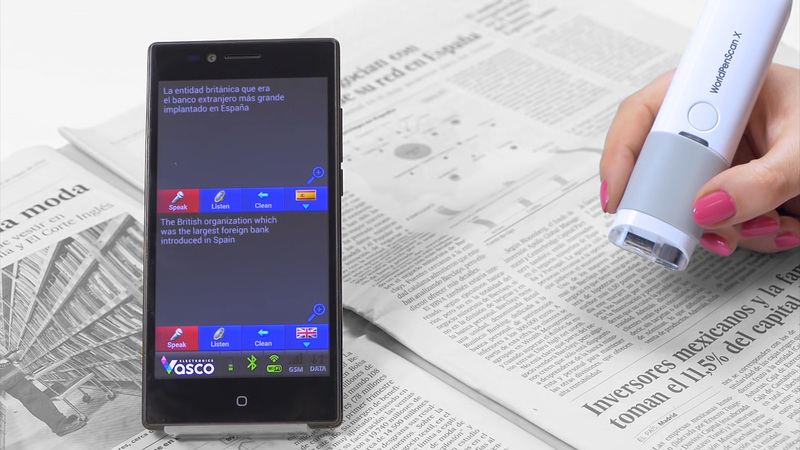 Now you can just scan them, and the Vasco Translator will tell you what they mean. The scanner allows you to translate single words and whole sentences. Click to see the detailed description of Vasco Translator Premium 5". Click to see the specification of and the languages supported by the scanner.